Changing Fluids: Why it is important to change your oils. You are probably already aware that your car needs engine oil to maintain it’s peak performance, however there are also other types of oils that your vehicle needs in order to function properly. These include transmission fluid, differential fluid and transfer box oil. Oils and fluids are used to lubricate the many different moving parts within your vehicles mechanical components. A lot of these mechanical components are subject to friction, stress and movement, so oil is essential to extend the lifespan of many different components within your vehicle – and to maximize your vehicle’s performance. These different types of oils and fluids are pumped to various different parts of your vehicle while you drive. Over time, your vehicle’s oil can become contaminated with dirt build up and tiny foreign particles. When dirty oil is distributed through your vehicles complex system of machinery, hoses and components, this has the potential to cause expensive and unnecessary damage to your vehicle. Dirty oil can clog the oil lines and transfer foreign materials to different parts of your vehicles drive train. With a simple oil change, you can help prevent against ‘wear and tear’ damage to your vehicle’s mechanical components, as well as prolong the life of vital parts of machinery within your vehicle. Warning Signs That Indicate You Need To Change The Oil and Fluids in Your Vehicle. Oil is burnt or darker in colour than it should be. There are metal flakes in your oils or fluids. The oils or fluids in your vehicle have become foamy, bubbly or sticky. Oils and fluids are starting to form globs inside their storage sumps. Do I Really Need A Specialist To Change My Transmission, Diff and Transfer Box Oil? Yes, absolutely. Unless you have a mechanical background, you will definitely need a trained professional to perform these tasks for you. While changing your engine oil is a relatively simple task that can be performed at home (ONLY if you know what you are doing), changing your transmission, diff and transfer box oil is a completely different ball game. These fluids and oils are usually located in difficult positions on your vehicle and in some cases, you may be required to remove certain parts of your vehicle in order to gain access to them. You may also need the assistance of certain tools and devices that only a professional mechanics workshop would have. A trained professional will also be able to pick up on tell-tale signs of unseen damage that might go unnoticed by the untrained eye. If you need to have your transmission, diff or transfer box oils changed or you would simply like a check up to ensure that your vehicle is functioning at its peak performance, the contact Bob at Bob Hunt Automatics. 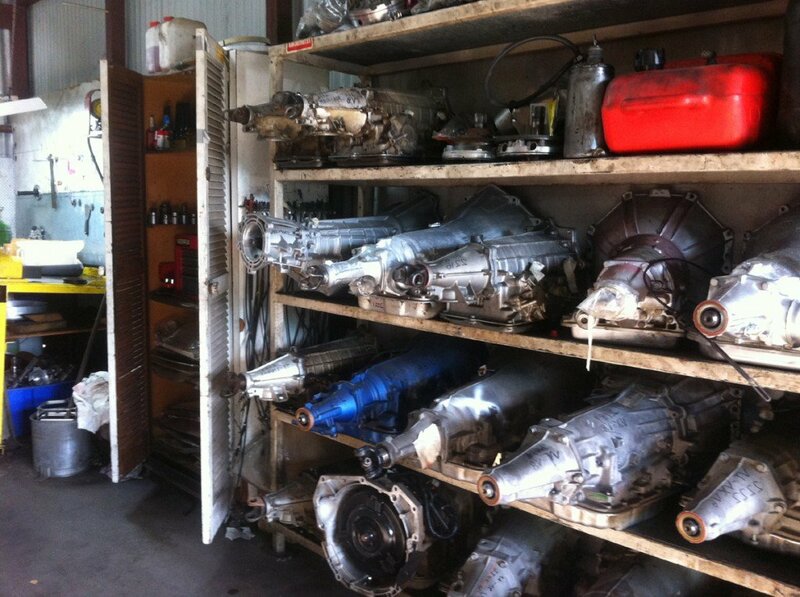 Bob has decades of experience in dealing with transmission, diff and transfer box issues. His expert knowledge can help you solve your problem and save your vehicle from unnecessary damage – thus saving you a lot of money in the process. To arrange an appointment and have your vehicle serviced by one of the Hunter Valley’s premiere automotive specialists, give Bob Hunt Automatics a call on 02 4933 1141 or you can contact him via the contact page.